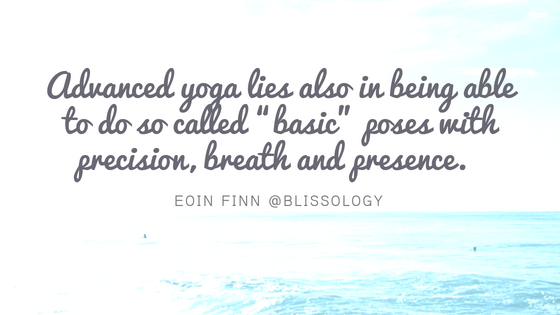 In Blissology Yoga, the shape of the pose needs to serve the feeling of peace, lightness and ease. We are looking for a calm and relaxed, body. The shape of the pose needs to be a servant of the calmness of mind, body and breath. As soon as the shape of the pose is prioritzed over the feeling, the risk of injury increases dramatically and we violate the essential principles of kindness and sustanability. This does not mean that we let the body do whatever it wants as we sit peacefully by. Instead we endeavor to create poses that feels light yet stable, grounded yet spacious. 2) To Balance the Yin and Yang forces in the body. I am using the terms Yin and Yang in relation to gravity. The “Yin Force” is the down and out into the gravitational field. The “Yang Force” is in and up in relation to gravity. 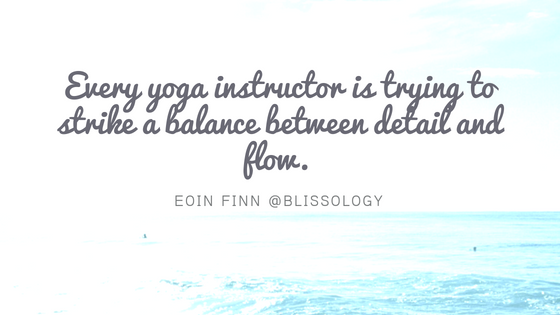 You can think of Yin like a puddle or a river going down passively with gravity. Yang, by contrast moves in and up away from gravity like a fountain. Yin provides softness, relaxation and the ability to move stuck emotions and energy out of the body. Yang provides stability, support and muscular engagement. 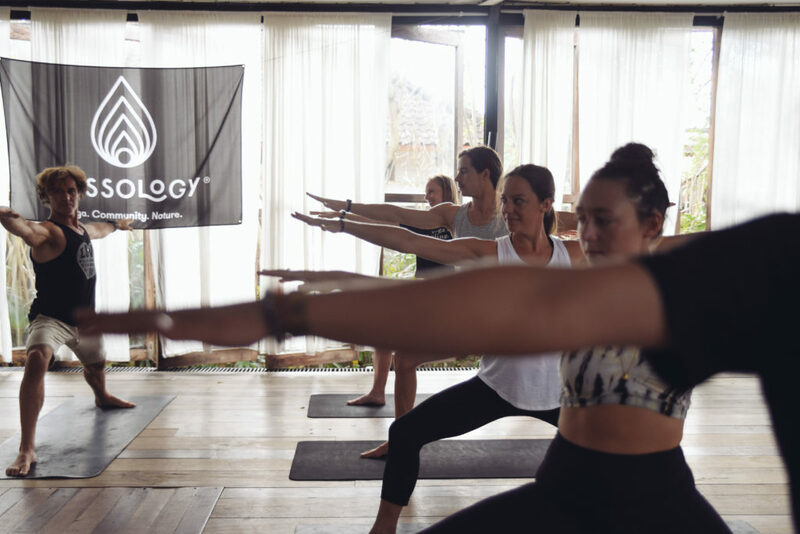 The yang energy used wisely distributes tension throughout the body for support and the yin energy allows the body to relax on that support in a way that does not hurt the joints. We need a balance of both forces.When we get it right, it feels like we are being suspended from the ceiling by puppet strings, rather than compressed and collapsed at one of the spectrum or overly rigid on the other. Our goal is to find the most efficient “in and up” lift away from gravity in the most relaxed way possible. Wei Wu Wei, means “effortless doing.” We want to be masters of gravity in yoga and in all life’s activities. 3) We want to be precise with our poses. This means we want to steer the body towards shapes that allow our bodies to grow more strong on more flexible according to the intention of the pose. This in is contrast to just allowing the body to move into the path of least resistance so the changes are more random or ineffectual. We strive to isolate stretch and/or strengthen in specific areas. By isolating these places using proper alignment so that muscles that are too tight and strong can find flexibility and length. At the same time, people who are too loose can find more muscular engagement, strength and integration. 4) Sustainable and well-functioning joints. We want to keep the joints protected by dispersing loads rather than concentrating them in ways that wear the joints out. We need to integrate the body parts together to function synergistically. 5) We want to create better energy flow. We believe that if every yogi did the pose to create more prana in the body and remained sensitive to what interfered with this energy flow, the risk of injury is almost nil. 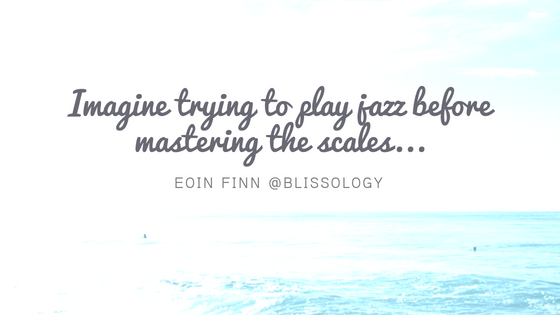 Also, the goal of flexibility becomes a secondary bi-product to the over-arching goal of better energy flow. 6) We want to create neuromuscular patterns for all activities in gravity. This means that the work we do in the poses to create grounded spaciousness and the distribution of yin and yang forces will carry over to all of life’s activities, not just the yoga poses. The connection between mind and muscles (neuromuscular connection) will become like a path through a jungle after hundreds of people have walked on it. 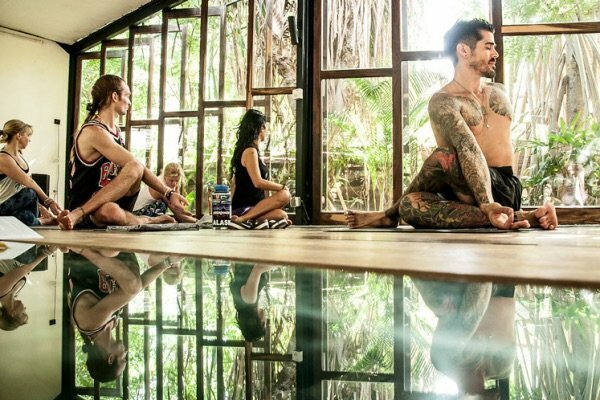 We will develop integrated the alignment principles into our bodies that everything we do off the mat will be guided by the principles we work on on the mat. What we are not trying do: It is worth defining in our intentions what we don’t want to guide of study of alignment. 1) We do not want to be guided only by the “aesthetic perfection” as the end goal. This means that very often we need let go of the idea of lining bones up with other bones or walls in order to make an aesthetically pleasing pose of one that has “perfect” geometry. How is looks can never be more important than how the poses feel (as per point 1 of our intentions). Being guided too much by what we feel the pose should look like will create a mental struggle, a lack of ease and will put joints at risk because we want to jam square pegs into round holes. 2) We do not want to be concerned about prioritizing end points that compromise the lines of tension (DUO Lines). If we are motivated by the end points we “go around” the fundamental alignment patterns and comprise all of the intentions we have set out in 1-6 above. 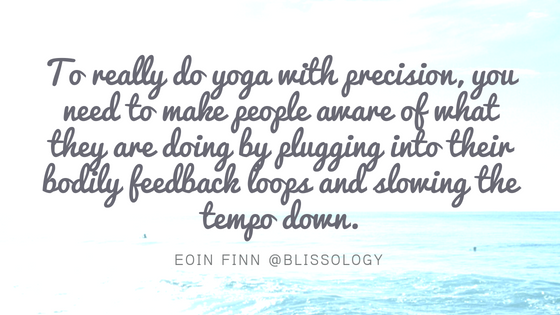 This will mean that often we need to approach a Blissology Yoga practice with a beginner’s mind.